Has your business reached a plateau? Do you feel like you can do more, but are unable to? If yes, then you’re not the only one. Running a small business is a particularly challenging endeavor. Approximately 50% of all small business don’t survive the first five years, according to a survey by Fundera. The key to growing your SMB lies in having a constant influx of fresh ideas. To maximize your chances of success and to become a prominent force in the market, implement these 10 ideas to create effective and easily-applicable strategies. Correct use will yield the exact results that you are targeting. Small businesses often find it difficult to attract the experts they desperately need. While the size of your company may be a disadvantage, you can make up for it with an effective recruitment program. Ideas such as employee referral programs can aid you in having a dedicated team of experts at your side. After all, 83% of business owners have cited recruitment as their priority. A good team is the crux of all growth. Through content, your audience will not only hear about your brand, but they will get educated about your products as well. Nobody likes blatantly targeted advertising. Instead, you should write blog posts, create infographics and other forms of media. With interactive forms of content and information, you can promote your brand and products for free. All you need is sufficient preparation and a detailed content publishing plan. Experiment and find out what works for you. Every small business owner is afraid of one thing – a lack of content to publish. When you’ve elaborated on almost every facet of your niche, it can be hard to find new sources of inspiration. Collaboration may be the answer. Contact blog owners, experts, and influencers and approach them with an invitation to collaborate. This can either be guest posting, recording podcasts together and even joining forces to organize an event. Both businesses will benefit, and you will gain valuable contacts. A subpar digital presence might be the reason that your small business is not growing as fast as you want it to be. People need to hear about your business to become customers. Therefore, you need consistency and uniqueness. This means synchronizing your website design with your Instagram, Facebook, Twitter, and even Pinterest. Maintain the same combination of colors, the same logo as well as one single moto/slogan. This is important for strengthening brand awareness. Small businesses can often be overwhelmed by workloads in certain periods. This often leads to managers and content creators choosing to cut down on the content posted, to sacrifice for other endeavors. This is a wrong way to approach hectic periods. Instead, use a professional writing service like “Brill Assignment” for your content requirements. Use “Resumes Planet” for your LinkedIn profile to have a strong individual profile online. The online services specialize in all sorts of content, regardless of the topic. Don’t sacrifice success just because you’re short on time. Invest in outsourcing, and it will pay off. With SMBs, the budget is the most common problem business owners run into. The best way to allocate your funds is to target every advertising campaign precisely. Who buys your products the most? How old are they? Where do they come from? If you choose to target the groups that adore your products the most, you will increase your chances of scoring conversions. Lots of business owners tend to target too many people, thus decreasing the effectiveness of their campaigns. It could be a cost effective targeting if done precisely. Did you know that the US Government gives out nearly $500 billion in government contracts every year? This number makes it the biggest customer in the world. There is no reason why you shouldn’t aim to cooperate with the government, especially if your products and services are innovative and useful. Local SBDC and SBA offices can give you valuable input on what it takes to finalize such a deal. Do you want to expand, but you don’t have nearly enough time, funds or manpower? Then franchising is the best solution to your problem. Some of the world’s most famous brands, like 7-Eleven and McDonald’s, are franchises. Get in contact with a reputable franchise attorney to make sure all the necessary paperwork is filed. It’s essential that you abide by the rules and regulations. If you don’t have the funds or reputation to sell a product right away, white labeling can grow your business. By giving other companies the license to your product, you will get all the profit. At the same time, they will package the product and sell it under various brand names. White labeling directly leads to increased production volume and more revenue. 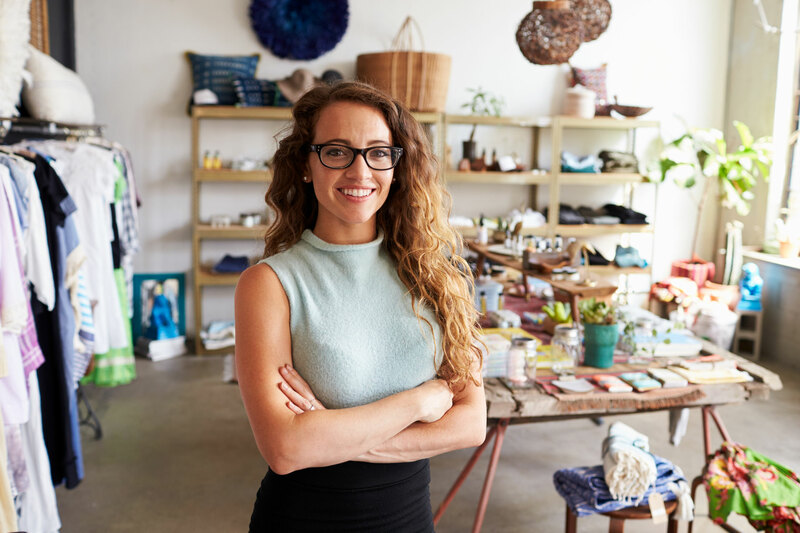 Running a small business or a startup may be a challenge, but it can be much easier with turning the right ideas into viable business strategies and make it successful to achieve all the goals. Plan every step, don’t hesitate to make risky moves and your business will flourish. Just stay persistent.